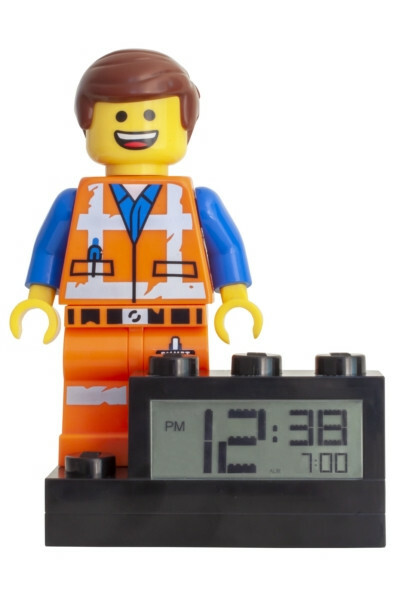 When the LEGO® Universe comes under attack, there’s no one better to have by your side than the LEGO® Movie 2 Emmet Minifigure Alarm Clock. Standing at just over 15cm tall and wearing his trusty orange construction suit with poseable arms. Featuring characterised alarm sound, a brand-new base design and light up clock display with snooze functions Emmet is the perfect addition to any LEGO fans nightstand.